The key to a successful relationship is working together and offering good communication. That’s also often generally the antidote for what ails many a suffering human partnership, but what about all that time you spend in the kitchen hovering over and maybe even bickering with your older appliances—not to mention that one or two that were banished to storage (or worse, the trash) because there was a prolonged and unresolved issue? If only that stovetop had been better to work with, and easier to talk to. If only the toaster had been smarter and more well-designed. With the advent of the Internet of Things, the future sounds exciting, but many of us are not quite there yet, enticing as it sounds. With the help of RetroFab from Autodesk Research, however, you may be able to bypass the IoT, interconnecting and reprogramming household appliances using 3D printing, actuators, and sensors, all on your own—and with no engineering degree or previous skillset required. Most of us are already familiar with ‘interconnecting’ items like our smartphones and computers—now it’s just time to take that one step further and learn how to do so with other items. RetroFab is specifically geared toward legacy devices—those which you are probably still financially invested in or don’t want to get rid of, but whose functionality no longer suits you for one reason or another. The system, made up of a 3D CAD environment and toolkit, allows you to change both the layout and the behavior of an appliance—repurposing and interconnecting. “Although smart versions of these appliances have become available, they require replacing an arsenal of expensive smart appliances when a new model becomes available or a service shuts down,” states the Autodesk Research team in a recent press release. Depending on what you would like to retrofit, a 3D printed model–that may also show off an integrated redesign–simply snaps over that part of the appliance, holding together actuators and sensors for operating the controls. The system supports both attached and remote enclosures, whether they respectively connect directly onto the interface or encompass the modified interface away from the attached enclosure. And as for adding the smarts, the user employs a wireless module for communicating and remotely controlling the appliance after the retrofit is complete. 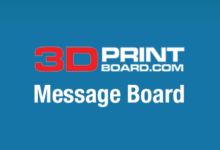 The RetroFab 3D CAD toolkit, comprising a total of 12 components, is built on Autodesk’s Meshmixer, allowing for an automated 3D modeling process as well as guiding the user on how to connect everything to their resulting 3D print and its microcontroller. The user scans the appliance with a simple 3D scanner like MS Kinect, and then is able to ‘annotate’ in RetroFab as they highlight controls and indicators with 3D brushes. The program automatically generates a 3D print, with an optional interface redesign for the controls as well. The user is provided with the circuitry, firmware and physical enclosure for fitting over the legacy interface. “Using an interplay of hardware and software, we provide non-expert users an end-to-end solution that allows them to reconfigure and interconnect traditional legacy devices, without requiring structural changes to the existing interface,“ says Raf Ramakers, a PhD candidate at Hasselt University/iMinds, who developed the system at Autodesk Research. The team tested the user-friendliness of RetroFab, seeing whether or not they would find it easy to use with absolutely no training in 3D modeling, programming, or electronics. The users—complete novices—were able to reconfigure and reconnect a variety of wall switches, desk lamps, and even an alarm clock which could be controlled with a mobile app, as well as a toaster retrofitted with a remote control and an LED used to let the user know when the heating element is warmed up. “In many ways, RetroFab goes beyond the traditional IoT vision of interconnecting and monitoring multiple heterogeneous devices. Our technology enables users to change the behavior of devices and rearrange the layout of user interfaces. This allows for new opportunities, such as resolving design flaws in interfaces or enable shortcuts to frequently used or personalized actions,” said Ramakers. Retrofitting a basic desk lamp and then using a smartphone app to control it. The team has outlined the entire system in their paper, ‘RetroFab: A Design Tool for Retrofitting Physical Interfaces using Actuators, Sensors and 3D Printing,’ by Raf Ramakers, Fraser Anderson, Tovi Grossman, and George Fitzmaurice—to be presented in May at the ACM Conference on Human Factors in Computing Systems (CHI 2016) in San Jose/California. They state that all of the ‘logic’ used by RetroFab is operated on a PC which speaks to the device that was modified, allowing reconfiguration of functionality and integration; for example, a user can integrate his alarm clock and toaster, linking the snooze button to the ‘perfect toast’ shortcut button. Child proofing is easy to integrate as well—always a common theme and issue with appliances. Using digital remotes for something like the stove allows for parents to easily tuck the controls up and away from kids in a secure area, and perhaps one even with a lock. As the team points out, too, the retrofit attached to the oven does not offer an interface, so the remote is required to turn it on. Example retrofit projects made with RetroFab: (a) two wall switches, (b) a desk lamp, (c) a toaster, (d) an alarm clock with mobile app, (e) oven with remote enclosure. Much of this may seem like a fairly complex jump for novices, but the RetroFab creators state that they went to concerted efforts to see that users would find the system intuitive and easy to use. Another great benefit of this system is in what it has to offer those with disabilities. Switches can be converted to different formats like push buttons, eliminating what is sometimes an awkward, required range of motion or need for challenging force with mechanisms like levers. The RetroFab team sees makers, IoT developers, and researchers as realistically getting the most actual use out of this system as they could be the ones helping retrofit items for the disabled or the elderly, offering greater independence and a better quality of life. The creators see the product as still in the beginning stages with much potential and much to explore—offering a multitude of opportunities in the future. Is this a process you would like to attempt? Discuss in the RetroFab & 3D Printing forum over at 3DPB.com.